Comics appeared officially in the United States in the second half of the 19th century – not by chance in the age of onset and strong affirmation of the mass media: photography and film. The comics are an important cultural phenomenon and that was explained to us in the 1970s thanks to several theorists of visual communication. Special thanks goes to the very respected Dr Vera Horvat- Pintaric, as she made ​​of it an object of wider interest, singled it out of “despised consumer goods” and introduced it to the Faculty as a subject of study (with posters, photography, film, television, commercials, video, thus normally “academic” science was not dealt with) . The Italian theorist Umberto Eco, one of the renowned scholars of mass media, including comics, analyses the complexities of the mediain in his book “The Interpretation of Steve Canyon”, which can be recognized on the semantic (symbolic), ideological and anthropological level. 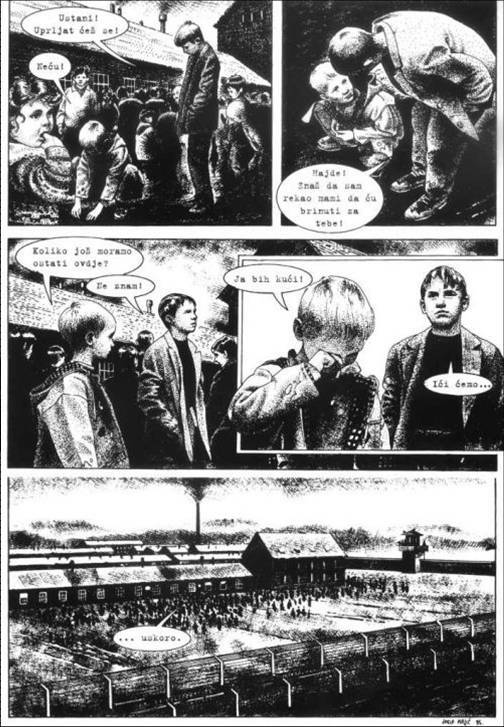 The basic element of semantics of the comics is a conventional sign of “the bubble” that accompanies the standardization of a mood: if it ends with the sharp edge, leading to the person who talks, “the bubble” means “direct talk”, then if it ends in a series of bubbles, it indicates “the reflective discourse”, and finally if the “bubble” has serrated edge then it indicates excitement, fear, etc. A graphic sign is also an important element, especially used in the sonorous service as an onomatopoeic extension resource of a language (eg. “zip” of a bullet, “gulp” of an astonishment), but it is often taken from English and put into other languages, losing direct contact with the meaning (“smack” or blow of a fist ). These semantic elements constitute a particular grammar of cadre, referring to the impact of the film, especially the form of montage. However, the comic has the original montage: not achieving a steady flow with fixed frames as a movie, but it is achieved through ideal continuity of breaking the continuum of basic elements that the reader in imagination connects and sees as a continuum. Such elliptical process, from the standpoint of communication means programmatic removal of redundancy, hence allowing a high information capacity. The NGO “Culture, Media and Education” – ARTHEA successfully implemented multicultural project, created by president dr. Vesna Srnic, named “WORLD IMAGE AND PERFORMATIVENESS OF GLOCAL CONSCIOUSNESS”. The project was finalised on 10th May, at 12 am at the town square in the form of performance (dance of the Indian girl Gayatri) and as an international roundtable / symposium in the conference hall of Hotel Art in Slavonski Brod, Croatia. 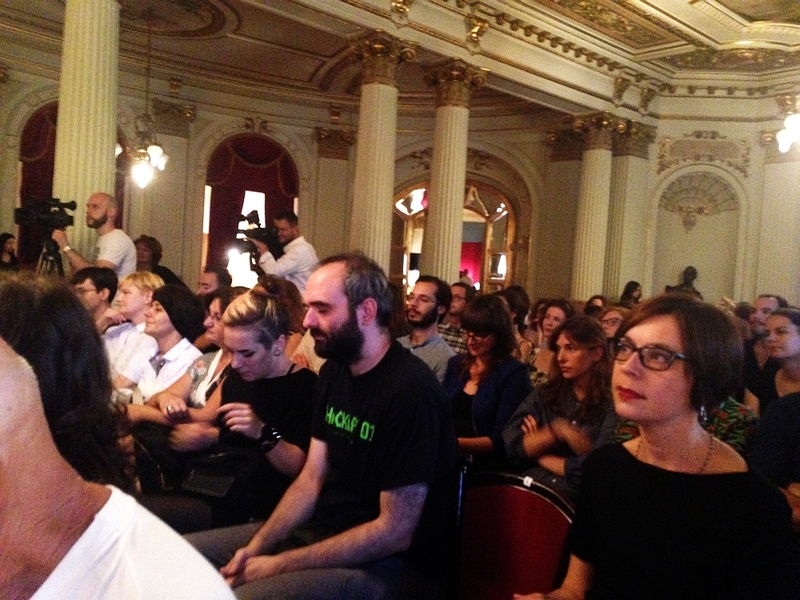 Croatian “Ministry of culture” informs on our project on their web page Culturenet.hr. Our project ex amines orchestration of the World Image through global and local considerations, therefore, the glocal-art strives to eliminate the negative effects of globalization on the vitality on the one hand and localizations of nationalisms on the other . The purpose of the global and local ( glocal ) reflection on the multicultural project is easing the fear from/of foreigners or xenophobia, and was prepared in the framework of the EU week in Brod-Posavina County. More about the project can be found on the NGOs online platform, social network http://glocal-art.ning.com. Ph.D. Zdravko Palavra, Information and communication sciences, Embassy of the Republic of India, Zagreb and professional dancer Gayatri Maric, as well as Europe House Slavonski Brod and head of the EU direct Prof. Bozica Sedlic. Colleagues who did not attend, have been included in the discussion and exchange of information across our virtual online platform, social network http://glocal–art.ning.com: distinguished anthropologists Ph.D. Vanja Bors from Faculty of Humanities and Social Sciences in Zagreb and Dr. Semir Osmanagic with dual addresses in Houston and Sarajevo, visual communications theorist Dr. Kruno Martinac from Melbourne, MA. doc. Vladimir Frelih from the Art Academy in Osijek , as well as Professors Dr. DivnaVuksanovic and Dr. Dragan Calovic media aestheticians, mediologists and co-organisators of an international symposium Philosophy of media. The project is being implemented in collaboration with the European House in Slavonski Brod , under the auspices of the Town Slavonski Brod, Brod- Posavina County and the Administrative Department of Development and European Integration. 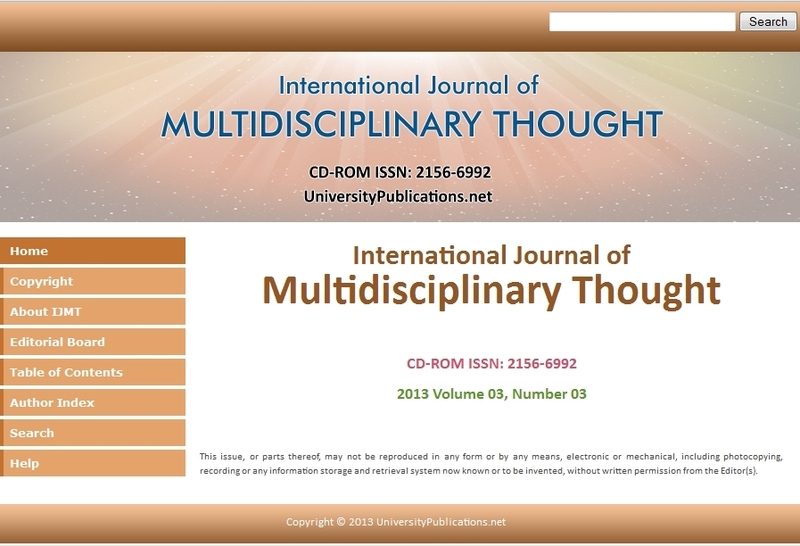 The American “International Journal of Multidisciplinary Thought” has just published in Volume 03/ Number 03 (for internal use) scientific work “Multitasking Actualisation in Multimedia Art” written by Media-Via’s editor PhD Vesna Srnic. A famous American Art Historian Dr. W.J.T. Mitchell, well known for his exceptional opus in visual arts theory, will be a keynote speaker at the Center for Visual Studies conference in Zagreb, from 7th to 9th November, 2013. As the author of the book “What do Pictures want?”, he continuously asks about the “lives and loves of images”, discusses their synergy with technology and mass media, pointing out the contemporary human reality as woven in cyborging and biocybernetics, and concludes that “we will never be done with asking what images mean, what effects they have on us, and what they want from us.” The author of this observation, Media-Via editor and president PhD Vesna Srnic offers the possible solution, based on her doctoral disertation “Electronic Media and Aesthetics in Postfeminist Theory”: Just deeply synaesthetic phenomenon of “Here and Now” as the affective experience without Images, Sounds and Words – does count as the Mastery! Agreeing with Dr. Mitchell’s colleague Dr. M.B. Hansen on a thesis statement about the penetrating, sharp intensity of digitalizing regime, as well as about the formatting and framing the content in such artistic media, Dr. Mitchell chooses just posthumanistic pesimistic attitude to discuss, what is a prevailed case in wide global range. The glass with water can be seen as half-full or half-empty! Our opinion is that deep affective perception in Life and Art makes that the Artist who treats technology as a tool and extension, is phenomenologically present in existence holistically, not as a Hermaphrodite, nor Cyborg or Grey, but charismatically as the Live Master in the Media Art. Thus we all of us should be the Artists of applying the hardware and software in wetware, performing deeply affective body and soul language. Just deeply synaesthetic phenomenon of “Here and Now” as the affective experience without Images, Sounds and Words – does count as the Mastery! What is actually un-democratic in systems that call themselves democracies, and how does one build a true democracy? Is democracy an unattainable or an achievable utopia? Is this utopian inspiration a prerequisite for any emancipatory struggle? 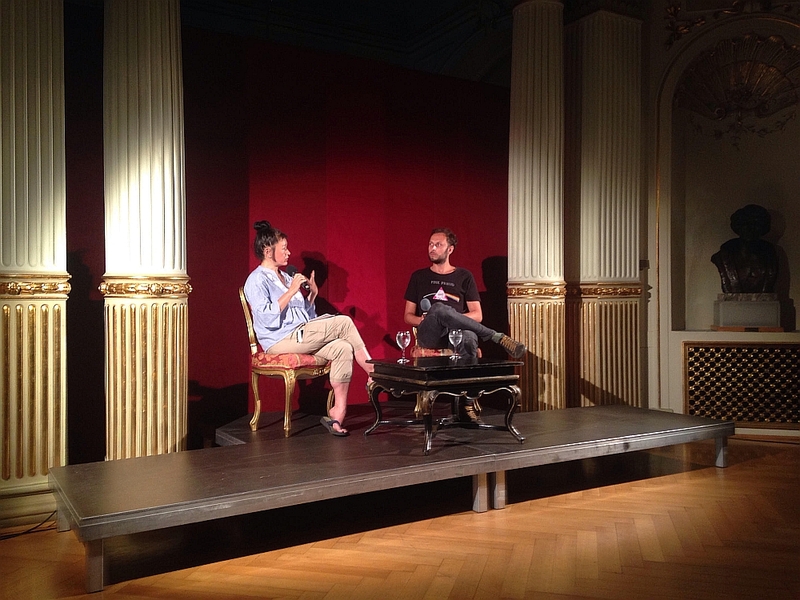 Following these questions, as well as taking into account current social and political developments, the 6th Subversive Festival, under the general theme The Utopia of Democracy, will take place from May 4-18 in Croatia’s capital Zagreb. Some of this year’s speakers include Slavoj Žižek, Silvia Federici, Chantal Mouffe, Bernard Stiegler, Susan George, Maurizio Lazzarato, Yanis Varoufakis, Franco Berardi Bifo, Tariq Ali, Erik O. Wright, and Costas Douzinas. Subversive Film Festival (May 4-12) boasts more than 50 thought-provoking films. Festival’s special guest Sophie Fiennes’s documentary The Pervert’s Guide to Ideology. Another special guest of the Festival is triple Oscar-winning director Oliver Stone who will present his documentary series The Untold History of the United States, participate in a round table with Tariq Ali as well as in a “late night conversation” with the audience. Subversive Forum (May 7-18), a series of events on the most pressing political issues of today, includes the following conferences: Peace Forum (May 7); Austerity, Green/d Economy and the Struggle for Democracy (May 8); Nationalism, Neoliberalism and the Left Perspectives (May 9); Commoning the Future (May 15);The Enlargement of Post-Democratic Europe (May 16);The European Left and the Global Crisis of Capitalism (May 17). 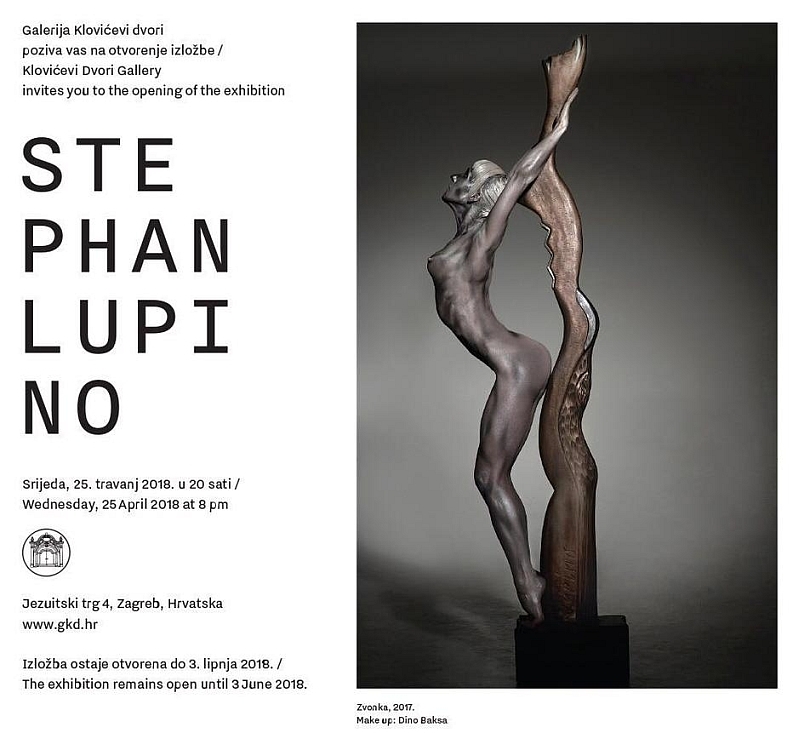 The Croatian Museum of Contemporary Art in collaboration with prof. Branko Franceschi and curator Kóan Jeff Baysa M.D. prepared the exhibition “Sound (In)Formation”. 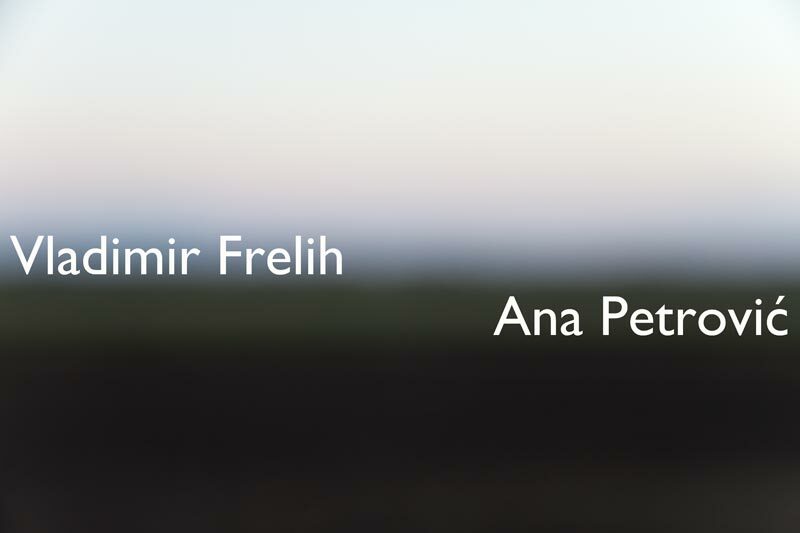 The exciting current explorations into expanded technologies are evident in this select quartet of works in Sound [In]Formation that engages the audience with exquisite presentations of immersive, contemplative experiences. The Artistic Quartet exhibits media works of Igor Molochevski, Mark Bolotin, Jiayi and Shih-Wen Young and Blake Shaw, from 5th to 13th April 2013. The selected artists in this exhibition abandon expected trajectories and reinforce the legitimacy of sound as a creative medium. Contributing to the emerging technoculture of interactive, cross-platformed, and immersive installations and performances, they evince the shifting of foci from objects themselves, instead, to the very processes of their per-ception. 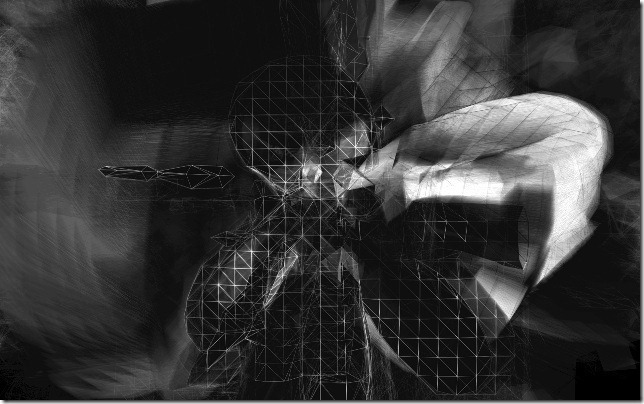 The aural colludes with the visual to create new, abstracted, emotional, and imagined spaces. Cognitive neuroscience investigates how the physical properties of the world are organised in the brain to yield conscious perception. 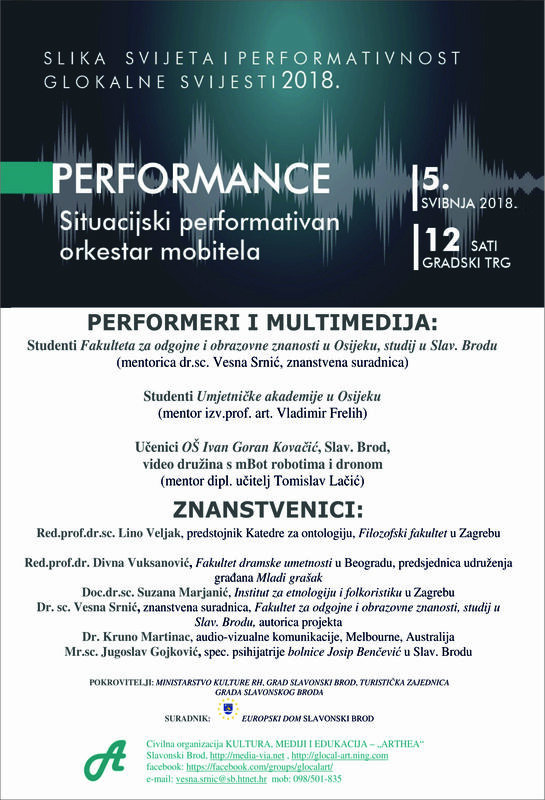 As Culturenet informs “BADco., Multimedia Institute/MAMA and the Academy of Drama Arts, University of Zagreb are organizing international symposium “Broken Performances: Time and (In)Completion” which is set to take place from 21 to 24 March in Zagreb, Croatia. Broken Performances: Time and (In)Completion” is a proposal to examine relations between the present-day modalities of time and the production of forms of life. The symposium will bring together a number of prominent international scholars and artists to share their thoughts on how to critically address the ways time conditions labor, affect and values, and how this then gets reflected in performance and media. The NewYork Times reports the American famous and humorous conceptual video-artist William Wegman has his show “William Wegman: Hello Nature,” through Oct. 21 at the Bowdoin College Museum of Art in Brunswick, Me. The exhibition aims to shine light on a less obvious aspect of Mr. Wegman’s oeuvre. “It was while he was in Long Beach that Wegman got his dog, Man Ray, with whom he began a long and fruitful collaboration. Man Ray, known in the art world and beyond for his endearing deadpan presence, became a central figure in Wegman’s photographs and videotapes. The new project of Media-via’s Association „Culture, Media and Education“ – ARTHEA is a 3 year multiplatform awareness raising programme with a heavy emphasis on performance art in urban surroundings. Over a 3 year period performers from other countries will perform their 3 traditional dances at a very busy hour on a very public place, the main square of Slavonski Brod, Croatia. These performances from China, India and Turkey will be a magnet to pull in by standers and will generate interest for the project. Besides these performances concert nights and round tables will be organised with intelectuals from various fields taking part to discuss the theme of multiculturality and tolerance between nations. The project will immidiately pull in by-standers and will peak their curiosity which will lead them to ask questions about the performances and in turn will be informed about the project and it’s theme. By catching just a glimpse of another culture they can draw their own conclusions as to the differences and similiarities they may share with other nations. It will promote open mindedness and a will to accept foreigners in to their society. With concert nights with perfomers from China, India and Turkey as well as conferences and round tables with intelectuals and experts from mentioned countries, citizens will have more than enough opportunity to satisfy their curiosity. Web logs, social networking and traditional forms media will ensure that the program will not go unnoticed. With the all the performers, intelectuals, experts and the general public involved in the project has huge potential to reach a massive audience. The association „Culture, Media and Education“ – ARTHEA is a civil organisation which was founded in 2011 and in that short time realised several International artistic performances: „Multimedia Art: Urban Performance“ http://media-via.ning.com done under protection of UNESCO and regional project „Glocal Multimedia Art“ http://glocal-art.ning.com (where Glocal means Global+Local) under financial protection of Croatian Ministry of Culture. At the recently ended K3 International Short Film Festival in Villach, Austria experimental cinematographer Ivan Ladislav G aleta from Croatia won the K3 Award for his latest film Deep End Art N°1. The festival is organized in conjunction with Italy and Slovenia. According to Culturenet.hr Ben Russell stated: “DEEP END ART No.1” by Ivan Ladislav Galeta is confident and entire, a living system unto itself. The title alone is a declaration of an idiosyncratic worldview, one whose conceptual borders extend far beyond the video frame. While it is clear that Galeta takes real pleasure in bird and bee, in sunlight and flare, and in time and decay, this is not enough. Lucky for us, “Deep End” turns this pleasure into the very material of video; aided by close-up and audio-amplification, “Deep End” is a fresh-picked apple for our eyes and ears (mostly held in our left hands). Ivan Ladislav Galeta (Vinkovci, 1947) graduated in Visual Art at the Teachers’ Academy in Zagreb 1967, as well as in Pedagogy at the Faculty of Humanities and Social Sciences in Zagreb 1981. He headed the Multimedia Centre (MM) of the Students’ Centre in Zagreb (1987-1990) and founded and headed the Art Cinema Theatre of Filmoteka 16 (1991-1994). Since 1993 he has been working as a media specialist at Zagreb’s Fine Arts Academy, where he has been appointed Full Professor in 2007. He initiated the introduction of Animation Studies (2000) and New Media Studies (2004), which grew into respective Academy Departments. He has been making films since 1969 and video-works since 1975. 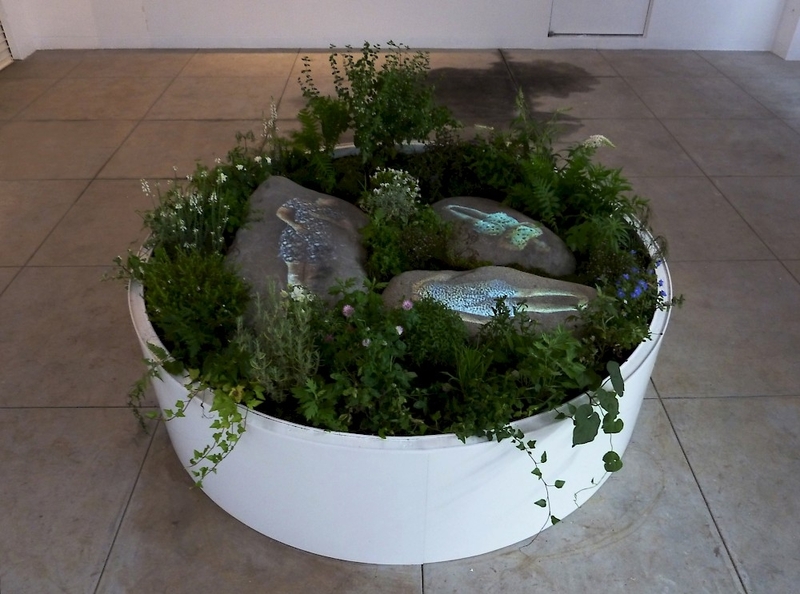 Since 1973 he has exhibited objects-installations, photographs-installations, video and TV works, texts, sound installations, ambience interventions, ecological projects, actions etc. His works have been included in important local and international collections of contemporary art and film archives like the Museum of Contemporary Art Zagreb, Croatian Film Clubs’ Association, International Short Film Days Oberhausen and Georges Pompidou Centre in Paris. Prix Ars Electronica Collide@CERN was the new international competition for digital artists to win a residency at CERN the world’s largest particle physics laboratory in Geneva. According to ARTS@CERN “The second Prix Ars Electronica Collide @CERN3 was awarded to the 65-year-old American artist, Bill Fontana. With an international reputation for pioneering experiments in “sound art” that has featured in some of the world’s leading arts institutions, Fontana continues to push the boundaries of his artistic work”. “It is fantastic that the Collide@CERN programme’s latest artist comes from a completely new field – sound art,” said Ariane Koek, CERN’s cultural specialist and the creator of the programme.” But the rest of the text doesn’t say a word about the reason of that specialist’s fascination, about the qualities of Fontana’s concept of the applied project, except the notion that the artist is ready to learn?! Media-via editor and “Culture, Media and Learning” association’s president Ph.D Vesna Srnic was also participating in competition Prix Ars Electronica Collide@CERN with a project: “UNIFYING THE HUMAN AND TECHNOLOGICAL MULTITASKING IN MULTIMEDIA ART”. 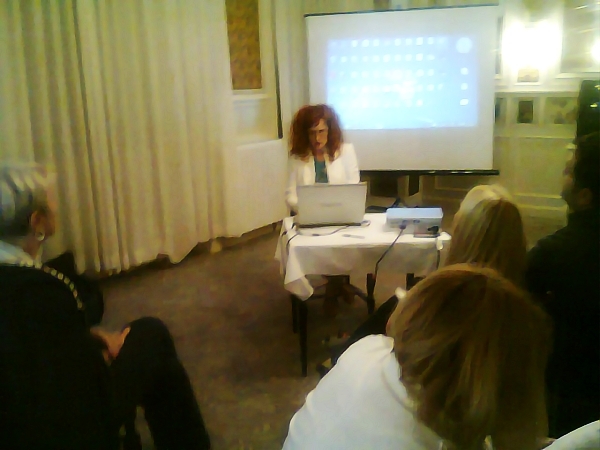 A three day International symposium “Philosophy of Media” at the Croatian city Opatija successfuly finished. From 19th to 21st the participants discussed and elaborated this year topic “Art and Media”. At the opening a German professor at Rotterdam School of Management Frank Hartmann spoke on his experiences and a great number of regional participants contributed to the important subject of the symposium. The President of Association “Culture, Media and Education – ARTHEA” Ph.D Vesna Srnic introduced the new concept on Multitasking and the ARTHEA’s portal Media-Via brings the summary of this scientific paper. Multitasking in multimedia and multimedia art, especially in the form of integrative activities or performances, presents an artistic actualisation via simultaneous processing by intensifying the experience as a process of affective individualization. As opposed to computer multitasking where a larger number of activities weaken concentration, i.e. attention is dispersed and memory is weakened, the orchestrated affective experience in Multimedia Art is anchored in an existential support by artistic attention which results in an organic memory and authenticity. With this thesis we hope to disallow the findings of other scholars (such as Christine Rosen, Ph.D., in her work „The Myth of Multitasking“, Sead Alić, Ph.D., in ‘’McLuhan, Announcement of Media Philosophy’’ and others) who claim multitasking results in the loss of wisdom. 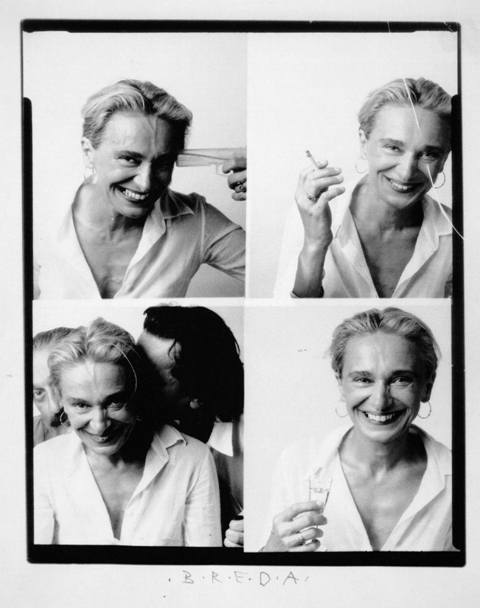 The Croatian/British video artist Breda Beban (1952-2012), my dear friend, two years before her death in London has made unrelatedly the video art work “My Funeral Song” inspired by subtle but deep affection of love and loss. The Real Life was incorporated in her existential video art works, which could be now seen at Film Festival “I Mille occhi” in Trieste (Italy) and as The Adventure of the Real in Studio Tommaseo on Saturday, 15th September, curated by Dubravka Cherubini and Branko Franceschi. Beban was a recipient of the Paul Hamlyn Award for Visual Arts, UK, 2001. Her film Jason’s Dream received the Silver Award for Music Film & Video, Worldfest, Houston International Film Festival, USA, 1998. 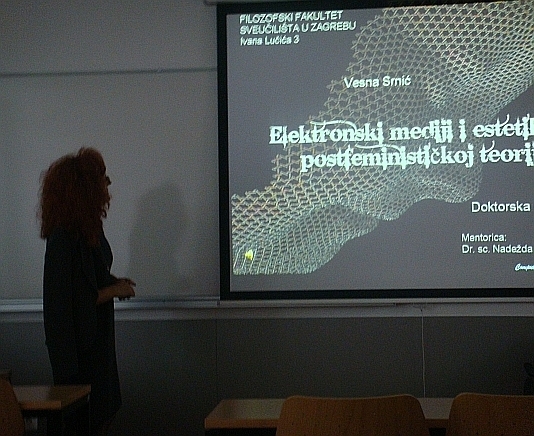 Doctoral dissertation “Electronic Media and Aesthetics in Postfeminist theory” written by Ph.D. Vesna Srnic deals with contemporary themes and dynamic artistic use, aesthetic valuation and phenomenological impact of extended electronic media on human life in the period of postfeminism. Thesis of dissertation is the result of analytical study of artistic mass electronic media (photography, film, TV, video, computers, Internet and multimedia): modern electronic media are not the subject to more classical aesthetic criteria, but to the concept of “value” and consequently how successfully the sexually undifferentiated affective grounds existence is brought into these new media. This, according to us, is a quite new aesthetic, while following the aspect of affective encouragement of individualization and strengthening the integrity by the electronic media, where the special importance is seen in experimental film, video art and multimedia performances orchestrated in the period of the “third wave of feminism” or Postfeminism. More details can be found at shopmybook.com and if You are interested in online shopping you can do so at this page. The first edition is published in Croatian language. 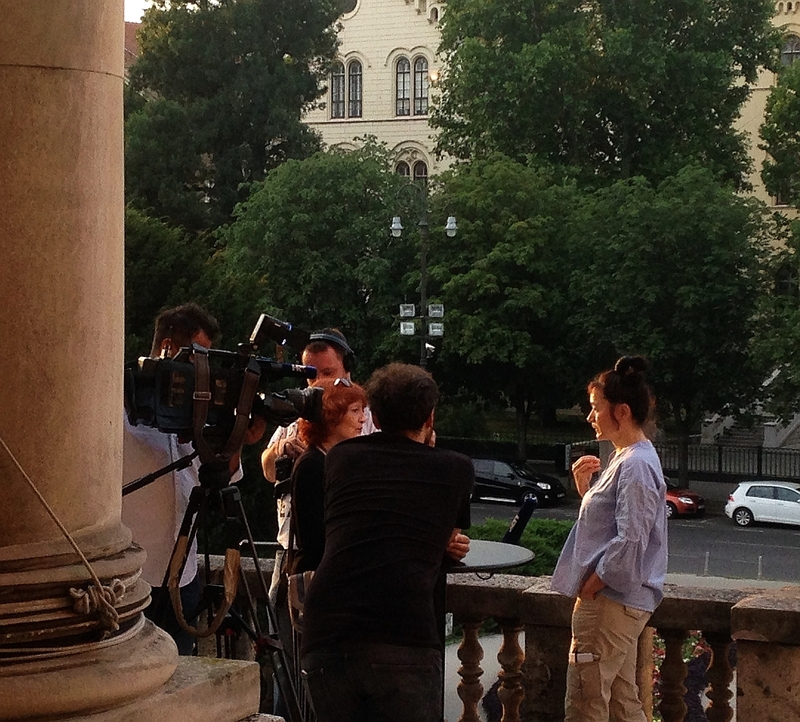 International project “The Glocal Multimedia Art”, with the this year’s topic “The Revolt in Art against Corruption”, which was created by the this portal’s Croatian association “Culture, Media and Education” – ARTHEA, was successfully finished on Friday, 15th June, in Slavonski Brod. The project had included creating the social network http://glocal-art.ning.com where the artistic conceptual task was realised, then the symposium with the artists, doctors of philosophy and students in discussion on corruptive conscience and finally the performance of aesthetical/ethical testimony at the town square of Slavonski Brod. The members of the project were: Professor and Artist Vladimir Frelih from the Art Academy Osijek, his students Lucija Jakovina, Robert Fiser and Ana Petrovic, who all uploaded their videa-art works, PhD Kruno Martinac from Melbourne, Australia, Dr Dragan Calovic and Dr Vlatko Ilic from the association “Young Peas” from Belgrade, Republic of Serbia, a film Director Zoran Sudar from Zagreb, Tomislav Lacic a representative of the music group SB Reprezenta well known for anticorruptive music, students from the Faculty of Teacher Education in Osijek, department in Slavonski Brod and the president PhD Vesna Srnic as well as other members of the association ARTHEA. The project was funded by The Ministry of Culture of the Republic of Croatia and will be incorporated in educational activities of primary, secondary and tertiary educational levels of the teachers/members. I am very pleased to inform You I’ve just published my book, doctoral disertation “Electronic Media and Aesthetics in Postfeminist theory” via the Belgian on demand online publisher. More details can be found at shopmybook.com and if You are interested in online shopping you can do so at this page. The first edition is published in Croatian language. 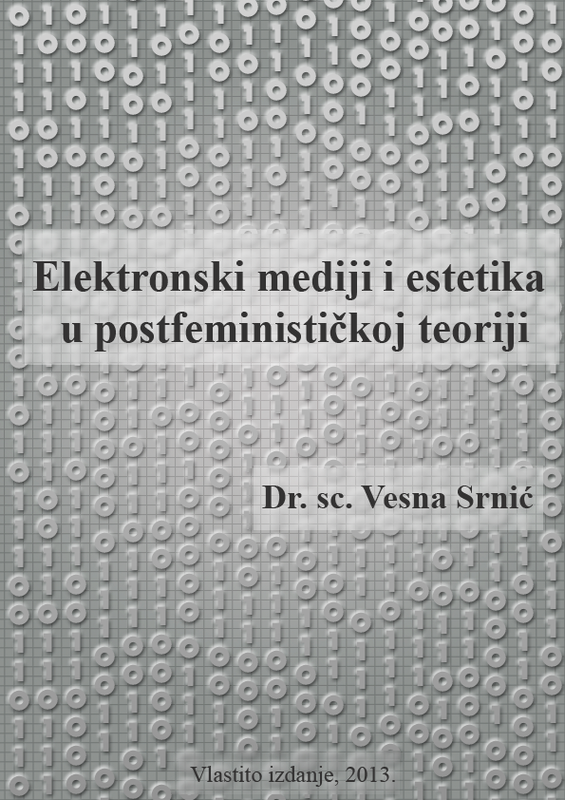 Doctoral dissertation “Electronic media and aesthetics in post-feminist theory” explores contemporary and dynamic themes of artistic use, aesthetic evaluation and phenomenological impact of widespread electronic media on human life in the post-feminist era. 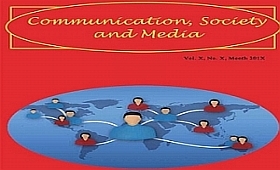 The doctoral dissertation thesis is the result of an analytical study of artistic mass electronic media (photography, film, TV, video, computers, the Internet and multimedia). Modern electronic media are not only subject to more classical aesthetic criteria anymore, but also to the concept of “value” and, according to that, to what extent the gender undifferentiated affective existential arguments can successfully be imported into the new media. This, according to us, completely new aesthetics, was of interest to us from the point of view of affective encouragement of individualization and increased integrity through electronic media via digital processes of embodying existential theory for which we consider experimental film, video art and orchestrated multimedia performances during the “third wave of feminism” or post-feminism to be of great importance. Research has been based on the phenomenology and philosophy of existentialism, which we found appropriate for integral insights into the Individual without gender differentiation, as we perceive the contemporary post-feminist theory.